When it sets sail in the coming film "Noah," a massive 148-foot wooden ark will carry not only a slew of zoo animals, but one of Hollywood's biggest wagers in years. "Noah," a $125 million epic from Viacom's Paramount Pictures, starring Russell Crowe and directed by Darren Aronofsky, is one of a boatload of religious films in the works from major movie studios. There are compelling economic reasons for Hollywood to embrace the Good Book. The studios are increasingly reliant on source material with a built-in audience, something the Bible—the best-selling book in history—certainly has. And like the comic-book superheroes that movie companies have relied on for the past decade, biblical stories are easily recognizable to both domestic and the all-important foreign audiences. What's more, they're free: Studios don't need to pay expensive licensing fees to adapt stories and characters already in the public domain. With floods, plagues, burning bushes and parting seas, Bible movies make great vehicles for big-budget special effects, a key selling point for a wide swath of audience members. Paramount is hoping "Noah" will connect with religious Americans who "may not necessarily go to more than one or two movies a year," said Paramount Vice Chairman Rob Moore. Not since the 1950s has Hollywood been so smitten with scripture. 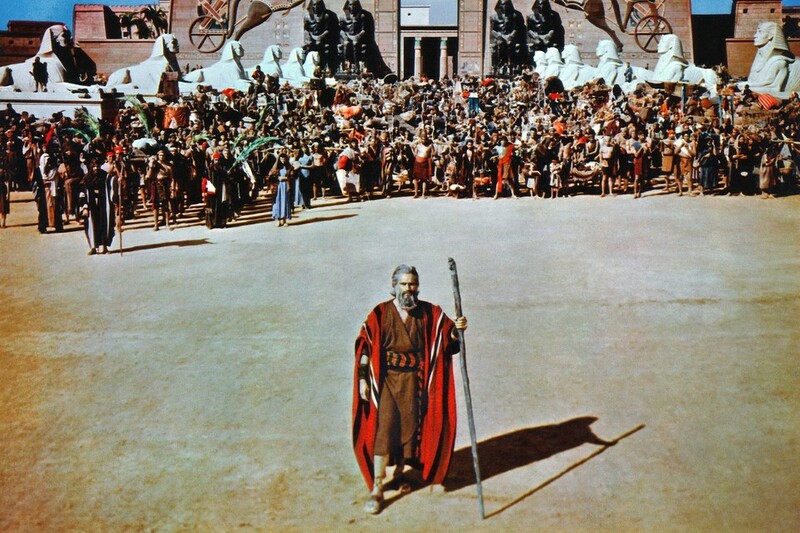 After World War II, Hollywood relied on religious epics as vehicles for its biggest stars, particularly Charlton Heston, who carried both 1956's "The Ten Commandments," about Moses' exodus from Egypt, as well as 1959's "Ben-Hur," about a Jewish prince sent into slavery and rescued by Jesus, only to witness Jesus' crucifixion. Cecil B. DeMille's biblical epic "Samson and Delilah," released in 1949, was another hit. Hollywood is embracing the Bible, with several biblical tales in the works. The studios are increasingly reliant on source material with a built-in audience, something the Bible-the best-selling book in history-certainly has. he Ten Commandments (1956) | Starring Charlton Heston, and Yul Brynner, the four-hour film about Moses's exodus from Egypt stands as one of the most commercially and critically successful films of all time. Once that process is complete, the challenge shifts to getting both mainstream moviegoers and religious audiences into theater seats, a process that relies both on specialized marketing to those eager for a faith-based film as well as marketing that appeals to those searching for a "popcorn" movie. 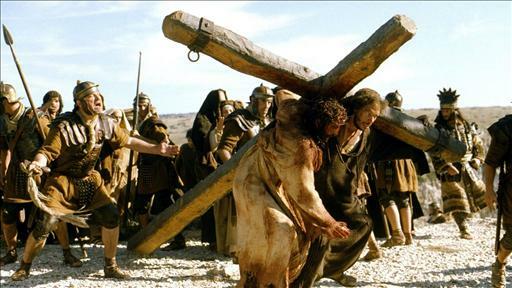 The marketing team on "The Passion of the Christ" successfully threaded that needle, despite the significant challenges presented by its subtitles and R rating. "Our job was to make it more 'Braveheart,' " said Mr. Berney. "Really to make it a big, epic action movie in the genre." His team emphasized the music and action in the film's promotional campaign, and by selling it as a "Mel Gibson movie." It's all about the money, Catholic Ping! But, but, I thought they all hated Mel Gibson! As long as they do a good job with it, it should help Christianity. Let them make their money. Their challenge will be to be darn sure not to offend, or they’ll be sure to lose money. This means, keep atheists and other Chistophobes as far away from this movie as possible. Did you ever see the made for TV movie “Noah’s Ark” (1999)? It was so horrible there are no words. Are they doing this only to put a liberal spin on the Bible? 1. Saul of Tarsus - The story of Paul, his conversion and his missionary journies would make an AWESOME film. 2. Daniel - Again, GREAT storyline and action. Fiery furnaces and whatnot. 3. Esther - Beauty, brains, daring, treachery, this story has it all. Great, are they going to make Noah into a flaming homosexual, where he only saves the men, and they spend 40 days and nights having a disco party on the ark? And it could be a participation flick (I never saw Rocky Horror Picture Show but can use my imagination) where the audience gives grief whenever Haman appears. That’s too funny. I think I’ve gone to two movies in the last decade, and they were “G” rated movies my daughter wanted to see. We went to see Tin Tin because she learned to read by reading that comic book series when we lived in New Zealand. The other was Toy Story 3. I gave up on Hollywood in the 1980s. I know pandering, and I’m not going to fall for it. Was Whoopie Goldberg not available???? That was before they saw how successful his movie turned out. Ah...makes me recall the old classics where all the men looked like they worked out in the gym all day and the women had unlimited Avon samples. The buff and the puffed. I’m all for it. While most of the Bible stories have been told on film through the years, far too many have been so secularized and embellished they completely loose their impact. I consider a film like Gospel of John to be one of the best and most faithful Bible films in my life. It was entertaining for both Believers and non alike, but faithful to the text. And there have been some really dreadful ones like the Noah’s Ark - I believe it was a made for TV version in 99? That was so very bad. No automatic attendance from me. Approach these movies with an abundance of caution. There are dark evil forces at work in Hollywood.